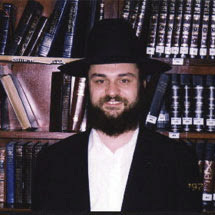 Rabbi Alexander Barkovski was born in Dushanbe in 1978. He emigrated with his family to Israel at the age of 15. Six years later he came to USA to learn in Yeshiva Lekach Tov in Monsey N.Y.. 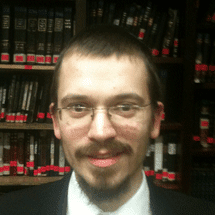 In 2003, Alexander got married and moved to Brooklyn; at the same time he started learning in Mirrer Yeshiva, where he was ordained into the Orthodox Rabbinate (Smicha) by Rabbi Avrohom Yaakov Nelkenbaum shlita, Rosh Hayeshiva. Rabbi Wolf Bollinger, was born in Kujbyshev, Russia. After graduating college he worked as a computer programmer. Learned in Toras Chaim Yeshiva (Moscow, Russia). After coming to USA he learns in Chaim Berlin Yeshiva. Married, has children. Rabbi Avraham Yakubov was born in Tashkent, USSR in 1975 and immigrated to the US along with his family in 1989. His formal learning began in the Yeshiva of Brooklyn, from which he transferred to Yeshvath Ner Yisroel, Baltimore, and subsequently to a yeshiva in Eretz Yisroel. 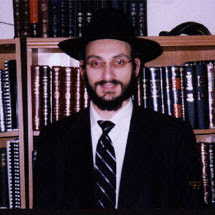 Upon his marriage in 1996, Rabbi Yakubov entered the kollel of Yeshivath Torah Vodaas, where he continued to learn until he became a full time Rebbi in Yeshivath Shaare Tzion. 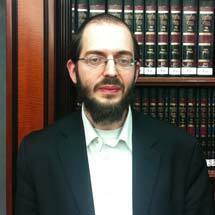 Currently Rabbi Yakubov is a Rebbi in the Yeshiva of Manhattan Beach. In his spare time Rabbi Yakubov mastered shchita and milah. He has also received a smicha in Yoreh Deah. Rabbi Yakubov gives a weekly kiruv shiur in Kollel Shoroshim. Rabbi Shlomo Lagoviyer was born in Leningrad, USSR in 1974.In 1989 he emigrated the USSR along with his parents and arrived in the US in 1990. Upon becoming observant in 1991 in St. Louis, MO Rabbi Lagoviyer attended Yeshivas Ohr Somayach in Monsey, NY. In fall of 1992 he enrolled in the undergraduate program at the University of Missouri, Rolla, while continuing to attend Ohr Somayach during the winter and summer vacations. In December of 1994 he switched to yeshivath Beth Moshe in Scranton, PA, and after graduating in December of 1995 with the BS in Chemical Engineering he started learning full time in the Scranton Yeshiva. In 1998 he transferred to the Beth Medrash Govoha in Lakewood, NJ. In April of 2000 Rabbi Lagoviyer married Chaya Sara Umansky of West Orange, NJ and joined the BMG kollel, where he has been learning until the present. Avigdor Boyko was born in 1979 in Kiev, and grew up in Kharkov, Ukraine. In 1992 he immigrated to the United States along with his family. 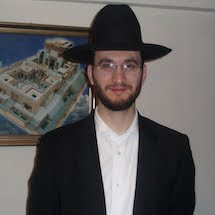 Upon graduating MIT in 2000 with a PhD in computer science, Avigdor entered Yeshivas Ohr Somayach in Monsey, and in 2002 he joined Yeshivas Rabbeinu Chaim Berlin in Flatbush, where he continues to learn today as a kollel yungerman. Daniel Lvov was born in Lugansk, Ukraine in 1984. At the age 14 he attended Yad Isroel school in Kiev, Ukraine. In 1999 he moved to Toronto, Canada, in order to attend Reishis Chochma Yeshiva. After his marriage in 2008 he moved to Brooklyn, NY, where he joined the Bobov Kollel in Boro Park. 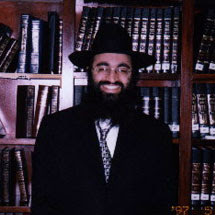 Rabbi Boruch Siper was born in Minsk, Belarus in 1983. He emigrated to USA together with his family at the age of 11. Boruch's Torah study began in Nefesh Acadamy under the leadership of Rabbi Yechiel London shlita. A year and a half later, he joined Yeshivah Mesivtah Rabeinu Chaim Berlin where he still learns today as a Kollel yungerman. Rabbi Eliyahu David Haimof Rabbi Haimof was born in Samarkand, Uzbekistan in 1985 and immigrated to the US in 1997. Upon arriving in Brooklyn he attended Sinai Academy Yeshiva High School. After graduating Sinai Rabbi Haimof continued his Torah education in Yeshivas Mikdash Melech, Yerushalaim. Three years later he returned to the US and entered Yeshivas Mikdash Melech of Brooklyn where he continued his learning for four years. Currently he is in his second year Smicha Program by R' Yisroel Belsky in Torah Vadaas. 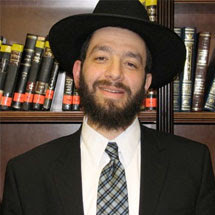 Rabbi Dovid Misonzhnik was born in Kiev(Ukraine) in 1973. He attended the Kiev Polytechnic Institute from 1990 to 1992.After coming to the USA in 1992, Dovid studied at the Cooper Union in Manhattan. Since 1994 he has been learning in a Yeshivah setting. Among the Yeshivos he attended are Yeshivas Rabbeinu Chaim Berlin, Staten Island Yeshivah and Beis Medrash Govoha (Lakewood). 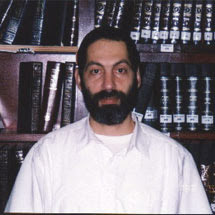 Shortly before his marriage in 1997, Dovid had started to learn at the Mirrer Yeshivah in Brooklyn, where he is currently one of the chavrey ha-kollel.